Shop our huge popular selection of 10 ft Lightning cables for your iPhone, iPad or iPod. Check out HyperGear lightning cables, iWERKZ lightning cables, iEssentials lightning cable, MaCally lightning cables and more. A 10 foot long Lightning cable is perfect for travel, business and home when you need ultimate length to reach a device or an outlet. Get many varieties of brands, types, styles and colors of 10 ft Apple Lightning USB Cables and accessories for every need and every taste. From cheap 10 ft Lightning Cables to premium 10 ft Lightning cables, we have the fun new cable to fit your sophisticated, high tech mobile lifestyle and budget. Quality Lightning cables are essential. Be sure to have the right Lightning cable on hand to get the job done. Gone are the days when you had to pay a fortune to buy an Apple Lightning cable. Live now, and buy your 2-in-1, tangle-free, car adaptable, braided or flat 10 ft Lightning Cable today. These make great gifts too. 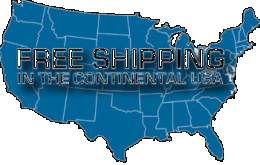 You'll love that at mobileiGo.com we guarantee fast, friendly service, hassle-free returns and fast shipping. And - every purchase you make at mobileiGo.com helps support non-profit life-saving causes such as "Feed the Children" and "Mentors International" - Buy your new 10 ft Lightning cable here with pride and confidence today.